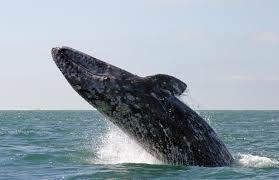 The Oregon Parks and Recreation Department wants citizen volunteers to help spot Gray whales as they pass Oregon’s coast on their southward journey to Mexico. The department is seeking people who are willing to work three-hour shifts at one of 24 whale-watching sites during its public whale-watching weeks, Dec. 27-31 and March 21-28. Fattened Gray Whales In Low-Ice Arctic Set To Journey South; In the coming weeks, more than 20,000 gray whaleswill begin their annual two-month, 5,000-mile journey south — from the Arctic Circle, past San Diego, to warm lagoons off Baja California. The pod has been feeding over the past four months in the Chukchi Sea and northern Bering Sea.